This lovely chalet occupies a great location, close to the pistes in Les Eucherts and just a short walk from the resort centre. It offers an excellent standard of accommodation as well as superb views from the whirlpool which is located on the building's terrace. 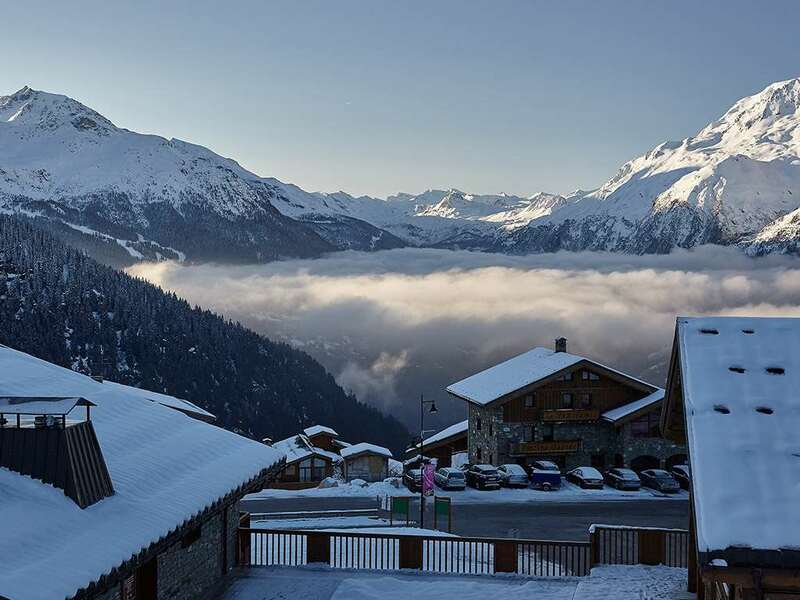 Les Eucherts is a centre in itself with its own ski school, shops, ski hire, an ice-rink and a few bars and restaurants. You can also walk to the centre of La Rosière along a pretty forest track in just 10 minutes. The chalet has bedrooms all with en-suite facilities and large quad bedroom which are a great family choice. Ground floor: One quad bedroom with two single beds and bunk beds, private bath, WC and a shared terrace (1). The ground floor also has access to the sauna and large outside Jacuzzi terrace. First floor: Large open-plan living/dining room with south facing balcony, separate WC and terrace to the rear of the property. Second Floor: Twin bedroom with private bath and WC and shared balcony (2). Twin bedroom under eaves with private bath, WC and shared balcony (3) and a split level bedroom with an ensuite shower, private WC on the corridor and access to the balcony on the lower floor and a double bed on the second floor accessed by an internal staircase (4). Please note: The staircase in room 4 is steep and not recommended for small children or people with walking difficulties.